Android app beta testing is a critical stage in the application development lifecycle. It helps maintain your mobile app quality and improve its user experience, among many other things. Below, we take you through all the basics of beta testing your Android app in order to help you prepare for this phase. From what beta testing is and its benefits to where to find beta testers, how to distribute your Android beta app, and more, this is your all-in-one guide to help you get ready for Android app beta testing. What Is Android App Beta Testing? Android app beta testing is a phase of the software development lifecycle where a group of external users (beta testers) test your application in real-world environments to discover errors and provide you with feedback. You can use this user feedback to fix any existing issues ahead of your app’s production release as well as to implement less urgent ideas in later iterations. Beta testing and alpha testing are two different software testing methods. While both depend on getting your app in the hands of human testers, alpha testing is conducted internally by members within your company for quality evaluation. At this point, the app is not expected to be 100% complete and is likely to have multiple bugs and crashes. The objective of alpha testing is to identify the most obvious errors in order to fix them ahead of the beta testing phase. The beta testing phase is conducted after alpha. Participants are external testers who are unfamiliar with the app and are trying it for the first time in real-world scenarios. At this stage, the app is almost ready to launch. The goal is to improve the app’s quality, usability, and overall user experience, and to identify any last issues before its final release. Learn more about alpha vs. beta testing. Why Android App Beta Testing? Quality: Ensuring and maintaining your app’s quality, making sure that everything is working as it should be and that you’re providing the best user experience possible. Cost: Catching bugs before release. Android app beta testing saves you over the long run as errors in production are extremely costly. Performance: Making sure that your Android app is up to industry standards and users’ expectations. Proof of Concept: Validating your ideas based on feedback from real users. More Testers: Uncovering bugs that slipped through earlier test phases, since more testers means a greater diversity of device environments and use patterns. Diverse Perspectives: Collecting a broad spectrum of feedback with diverse perspectives from users of different backgrounds, demographics, and locales. Early Adopters: Building a community of users before even launching your app. Google Play: Ensuring a higher chance of passing Play Store review, as Google strongly encourages developers to release early versions of their apps for alpha and beta testing to catch errors and make improvements before its final release. Bugs and Crashes: Discovering problems with your app that you need to fix or optimize before launching your app. Learn more details about why you need an Android beta testing tool. How Many Beta Testers Do You Need? Studies have shown that only one out of five beta testers will try your app and provide you with feedback, and you need a minimum of 100-300 testers to ensure that your app is properly and thoroughly tested. Unless you have a large company and everyone on your team is actively involved in the testing process, this means that you’ll need at least 500 to 1,500 beta testers to get a proper amount of quality feedback. Learn about dogfooding your app as an alternative to recruiting external beta testers. Betatesters.io: Simple, straightforward, easy to use. Powered by Instabug. Beta Family: A crowdtesting community for beta testing where you can test your app on real people and get an honest opinion on the user experience and filter by age, gender, nationality, device, OS and more. Erli Bird: Gives you the power to beta test with real people in real environments and collect on-demand user feedback. Powered by a global community of 100,000 real-world testers. Twitter: Find testers using the common hashtags #betatesting, #betatesters, #testmyapp, #indiedev, #mobileapptesting, and #gamedev and #gametesting for mobile games, or scout for potential testers by checking several public Twitter lists that have been compiled by other apps. Reddit: You can find beta testers on multiple subreddits including r/beta, which has 350K+ beta testers, r/betatests, r/TestMyApp, r/alphaandbetausers, r/androidapps, r/AndroidAppTesters, and r/gamedev for mobile games. Betalist: A community of makers and early adopters showcasing their startups and exchanging feedback. Applause: Connects your app to the world’s largest community of digital experience quality experts, giving you authentic input and insight from real people in real-world settings. Quora: Most early adopters and influencers can be found answering questions on Quora, so make sure to reach out to them, engage with them, and get their feedback about your app. Hacker News: HN’s community loves to try new things. That’s a great opportunity to get expert feedback from a very tech-savvy audience. Submit your app to ShowHN, but make sure to follow the rules. Product Hunt: Once you’ve launched your app, you should submit it to Product Hunt, a place for product-loving enthusiasts to share and geek out about the latest mobile apps, websites, hardware projects, and tech creations. Killer Startups: A news site that accepts submissions for review. UserTesting: Provides an on-demand human insights platform that helps you find and connect with the exact audiences you need, without the effort, to provide feedback. UserZoom: The most comprehensive UX insights platform on the market. Betabound: Collects, organizes, and offers beta testing opportunities in an ongoing stream. Learn How to Find Over 200+ Beta Testers for Free. What to Ask Beta Testers? The biggest problem with Android app beta testing that mobile app developers and product managers report is not getting enough useful feedback. To discover the insights you need, you need to ask your beta testers the right questions. Numerical Answers and Scales: Quantifying the answers allows testers to give you more precise feedback. Multiple Choice Questions: Encourage participation by making it easier for your testers to do so. Specific Details: Start with a general aspect you want to know more about, break it down into identifiable parts, and ask about those parts. Open-ended catch-all question: Give your testers the opportunity to leave any other comments they might have in an unfiltered way. Aim for negative feedback: Seek to elicit answers that point to areas where your app needs improvement. Learn more about what to ask beta testers in order to get better feedback. How to Motivate Your Beta Testers? Respect: Recognize your beta testers’ efforts and maintain long-term relationships. Swag: Build brand loyalty and turn your early adopters into promoters as walking billboards for your app. Gift Cards and Promo Codes: Select a store or brand that your beta testers would be excited to redeem credit from. Public Appreciation: Publicly acknowledging your beta testers’ efforts makes them feel appreciated, incentivizes others to participate, and builds overall brand loyalty. Discounted or Free App: Given all the hours your beta testers put in to evaluate your app, let them have it for free. Points and Prizes: Institute a points system or rewards program where beta testers can receive products related to your app or win big-ticket prizes. Learn more tips in this post about how to reward beta testers. How Long Should Android App Beta Testing Take? Objectives: The more objectives you have for your beta test — whether it’s feedback about bugs, functionality, user experience, etc.— the more time you will need to cover all of them. Testers: The more testers you have, the faster you’ll be able to cover all the objectives of your test. Participation: Providing your testers with a proper onboarding, informing them beforehand of your goals and objectives, and motivating them throughout will not only increase the quality of participation from their end because they’ll know what to look for and understand your expectations, it will also smooth out the process and set them up to execute at a faster pace. Deadlines: If you have a release deadline to meet, proper planning ahead of time is crucial. You can make up for shorter beta test durations by aiming to get more testers as well as optimizing your beta program to collect quality feedback rather than just quantity. Suggested beta test durations for Android apps range between two to 12 weeks, with most beta tests taking an average of four to eight weeks. In the case of rapid release cycles with ongoing beta programs and continuous integration and continuous deployment, beta builds are released as often as nightly. Learn about the top CI/CD tools for Android apps. To learn as much as possible from your pool of beta testers, you can segment them into multiple groups in order to conduct A/B split testing for your Android app. This will help you discover insights from comparing the results and outputs of different user groups. You can also use A/B testing to ensure that localized versions of your app are bug-free in real-world environments of different locales. Another strategy is to split your users into almost identical groups and have each test out different features of your app. This allows them to be more focused and helps you save time by running multiple experiments at once. Google Play Developer Console: A handy tool for indie Android developers and small to medium teams that don’t have many requirements for their beta test. Beta by Crashlytics: A powerful tool that meets many of the needs of a beta test while still scaling well. HockeyApp: Offers extensive integrations with most of the popular tools used by developers. 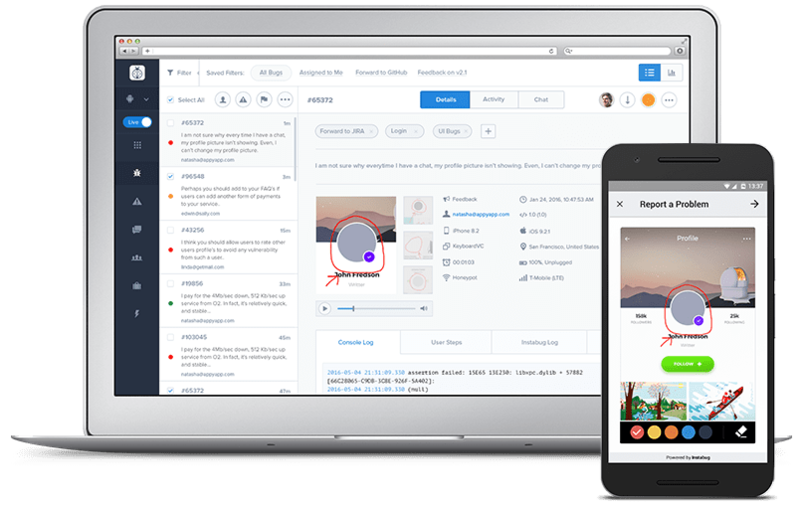 TestFairy: Integrates with a lot of popular tools for bug tracking, communication, and continuous integration. Appaloosa: An enterprise-focused tool that is not suitable for smaller teams. DeployGate: A tool that can help small to medium teams accelerate their beta test and deployment. Learn more about each platform in this comparison of the top beta testing distribution tools. How do you know if your beta test was successful? One of the first and most crucial steps of the testing process is defining your testing metrics — measurable indicators based on your goals for the test. Stability: Tracking the number of bugs in your app over time as well as their severity. Churn Rate: Tracking the percentage rate at which users stop using your mobile app in a given period and understanding where the drop off points are. Meaningful Participation: Tracking the amount of quality, actionable feedback that you receive compared to your overall rate of feedback. Learn more about beta test metrics. with an Android Beta Testing Tool? We found that implementing our in-app user feedback tool can result in a 750% increase in user response. That’s more data you can use to improve your app, better chances of identifying problems, and since you’re using a third-party bug reporting tool, more time to fix errors. Instabug is the top Android beta testing tool for mobile apps. It provides the most useful metadata on the market, exceptional customer support, and an in-app communication channel to chat with your testers and users. With each bug report, Instabug automatically sends detailed user data to developers, including the user steps needed to reproduce each bug, network request and console logs. App users can also submit screen recordings and screenshots that they can annotate by drawing on, blurring, and magnifying parts to provide further context to their reports. Instabug Integrations: Jira, GitHub, Slack, Trello, Zendesk, and more. Instabug Pricing: Free. Paid plans start at $41 per month. Android app beta testing is a crucial stage in your application’s development lifecycle. Prepare yourself ahead of time and make sure to delve deeper into each aspect of the process. Make sure you cover this checklist ahead of your beta launch. Most importantly, be sure to communicate with your beta testers and continuously motivate them to provide you with quality user feedback. After all, your app’s success depends on them! Learn how Instabug for Android can help you save time, fix costly errors, and eliminate negative reviews through bug reporting, crash reporting, and in-app feedback.